Hyperpigmentation is a common condition in which patches of skin become darker in color than the surrounding skin. This darkening occurs when an excess of melanin, the brown pigment that produces normal skin color, forms deposits in the skin. Hyperpigmentation can affect the skin of people of any race and can appear as freckles, small to large spots, and patches. Occasionally, areas where skin was damaged, burned, or scraped will become darker than surrounding tissue. Melasma is a common skin problem that results in brown to gray-brown patches on the face that are often resistant to treatment. Most people get it on their cheeks, bridge of their nose, forehead, chin, and above their upper lip. 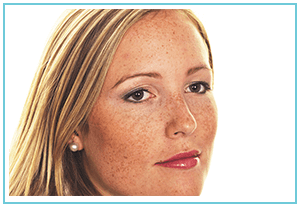 Melasma often accompanies hormonal shifts such as beginning birth control medications and pregnancy. 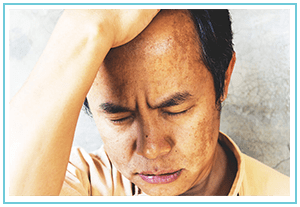 Any amount of sun exposure in someone with melasma can trigger the pigmentation to worsen and even heat can cause a flare. BEAUTIFY YOUR SKIN AND REGAIN THAT YOUTHFUL GLOW INSTANTLY! Whether you’re presenting to an audience of attentive business associates, socializing with friends around the bar, or lying close to your significant other, your face is the most noticed part of your body. Skin spots, sun spots, and dyschromias (hyperpigmented and hypopigmented macules) add to your age more than any other condition. Uneven skin tone can make you look YEARS older. 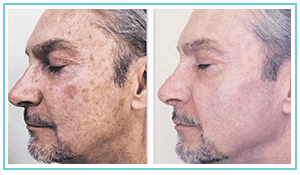 Regain your youthful glow by having us treat hyperpigmentation & melasma. WHY DO SKIN SPOTS OCCUR ON YOUR FACE? Hyperpigmentation, dark patches, freckles, and other skin spots are caused by a number of conditions that stimulate melanin production to increase. Years of sun damage, malnutrition, and even genetics, can contribute to this condition. Melanin is the colorizing pigment that darkens your skin tone when you tan. The good news is that clearing up age spots is actually relatively fast and easy. 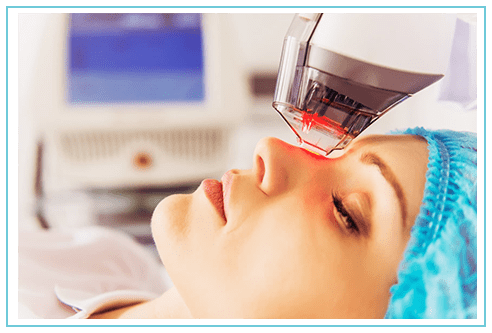 Modern laser technologies give us the ability to regain that smooth and spotless complexion of your youth, or at least achieve great improvements. We’ve invested in the best lasers. Our light tech can target age spots and dramatically reduce their presence and appearance. This results in more youthful appearing skin, consistent tone, and is the fastest way to look years younger.